It's safe to say that product design is of immense importance when you're investing in a smartphone. As far as the last two years are concerned, the bezel-less look has certainly caught the attention of buyers, since it equates to a device that comprises entirely of a screen. Companies have followed the lead and have worked immensely hard to burrow all components of the smartphone into the screen. And that's exactly what we can see with the Honor View 20. With the selfie-camera drilled into a little hole, the smartphone offers a more seamless look, much similar to Samsung’s Galaxy S10 which also came forward in 2019. We have been testing the Honor View 20 for a few days now and are excited to fill you in on all the details. 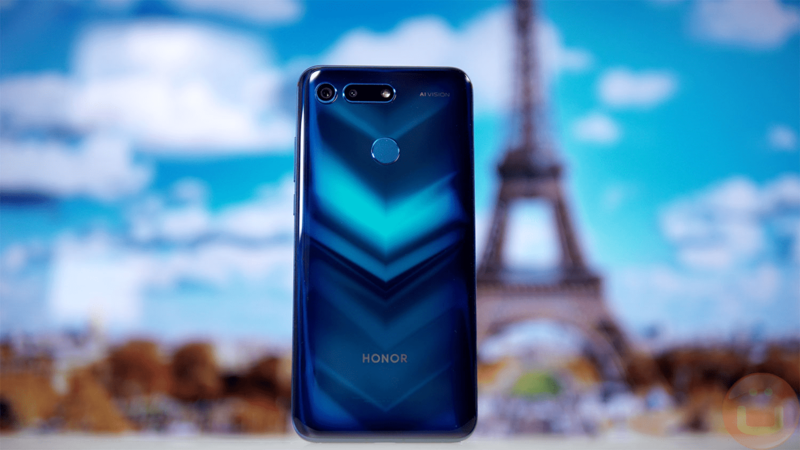 Honor View 20 features an etched laser design which includes a glass back. At first glance, you'll notice how the glass forms a magnificent V pattern as soon as the lights it at certain angles. This appearance has been termed as “aurora nanotexture" by the brand, but it's pretty much your basic laser-etched design. The chevrons flicker in light, creating an exciting look – which is a sight to see. The look of the pattern may vary depending on what color phone you get. And while you might think that black may look a little too dull, you will be proven wrong once you witness the rainbow hitting the back. Aside from this welcoming new addition in design, the rest of the Honor View 20 closely resembles other smartphones in the market. It includes a 6.24-inch display with an LCD panel. You will also find an IR blaster and headphone jack. However, the design of the phone is pretty balanced and fits comfortably in one's hand. Honor View 20 stands with the likes of top-tier smartphones with its futuristic punch-hole design. This essentially means that the camera is drilled into the screen resulting in a more flawless look. Users will also appreciate how this addition increases the body-to-screen ratio of the smartphone. These are two of most notable features of the smartphone. Now, coming to the performance, since Honor View 20 is part of the Huawei family, it boasts a Kirin 980 processor which is a welcome addition for gamers. Keep in mind that before this, Huawei has reserved its prestigious Kirin 980 chipset for high-end phone only. 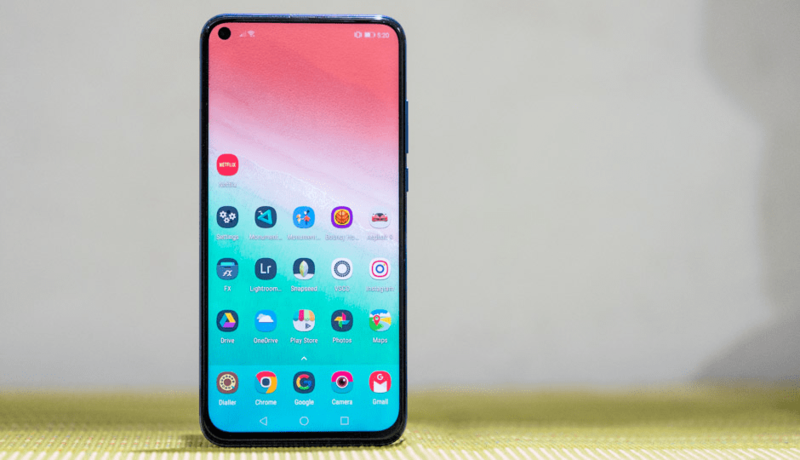 Hence, it’s great to see an affordable smartphone such as Honor View 20 feature such cutting-edge technology. This model also runs on Honor’s Magic UI software that further adds a fresh coat of paint on the smartphone in terms of new features. The smartphone offers either 128GB or 256GB internal storage with 6GB or 8GB RAM. The EMUI 9 offers more youth-centric features which certainly sets a futuristic tone. This enables the smartphone to run much smoother and faster than its other models. With this, the View 20 also includes a 4000 mAh battery that can easily last a whole day on a single charge. Similar to its other phones introduced by the brand, you won’t have to worry about battery percentage. Now, for the real deal: the 48-megapixel camera. Here, we should mention that the Honor View 20 is the first affordable flagship smartphone to feature such an impressive camera. It is arguably the best if you consider the price range. But that's not all, users can choose between 12-megapixel and 48-megapixel shots. For enhanced photo results, Honor uses pixel-binning 4-into-1 formation for increased quality and brightness. This results in brighter, more vibrant pictures. The smartphone’s Ultra Clarity mode which allows users to capture incredibly high-quality shots and scenes in daylight. On the other hand, the Night mode can be used for taking breath-taking images in the dark, although the results primarily vary depending on your environment. We distinctly liked how you can zoom right into the photograph without compromising on quality. The Honor View 20 also does a stunning job in shooting RAW files in its pro manual mode. The AI Clarity further does a fantastic job in sharpening pictures. However, keep in mind that you’ll need a steady hand if you want to achieve the finest results. As for the selfie camera, you can choose between a variety of built-in filters and fun modes. Again, this feature has been designed whilst keeping the younger generation in mind. With Honor View 20, you can expect seamless gaming owing to the spectacular full-screen experience. Because of the smartphone’s incredible power, you can eliminate the chances of frame rate drops and stutters. The GPU Turbo 2.0 further prevents game lags and allows you to emerge into a whole new world. The only downside is that the audio of the smartphone doesn't quite do justice to its incredible features. However, you will find a 3.5mm headphone socket that might excite you. 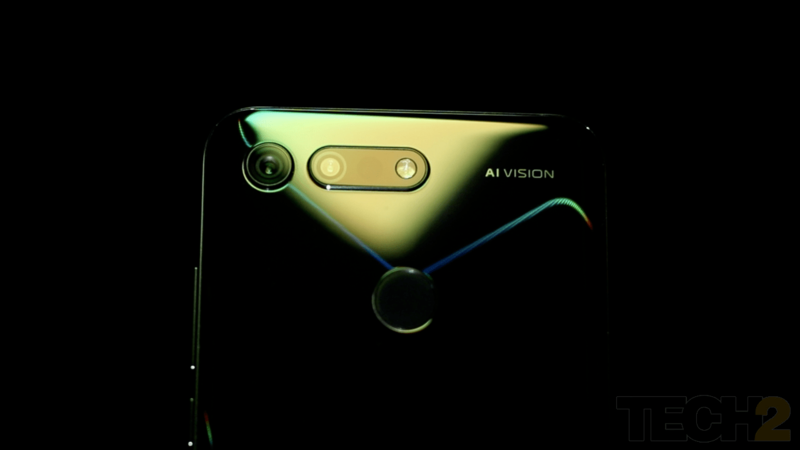 For what it's worth, the View 20 is an exciting new smartphone that is appropriately marketed for the younger generation. While there are few minor issues, there's no denying that the View 20 is a modern tech smartphone that offers more than meets the eye. The Honor View 20 price in Singapore stands at S$699 for 6GB/128GB and $829 for 8GB/256GB, making it quite a catch.